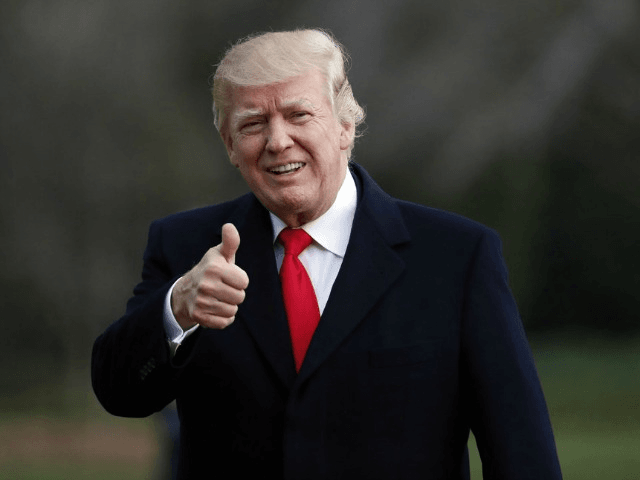 More Americans approve of President Donald Trump’s job performance, as his support has jumped six points in just one week, according to a Rasmussen poll. The president’s numbers sank to 39 percent last week, but 45 percent of likely voters now approve of his job performance. Fifty-three percent of those polled still disapprove. Trump issued several strong warnings to North Korea in recent days in response to its warlike rhetoric and nuclear weapons developments. Trump’s new chief of staff, General John Kelly, has also brought stability to the White House after the stormy exit of his former chief of staff, Reince Priebus, and his decision to fire White House communications director Anthony Scaramucci. Rasmussen’s daily tracking polls are collected via surveys of 500 likely voters per night and reported on a three-day rolling average.